Print on Demand Strategy: Where Does Nook Press Print Platform Fit In? Taking a closer look at Ken Oder: What works in indie fiction? Last week I started telling you about my most recent Bookbub experiences and whether Bookbub pays for itself. You can read that post HERE. Today, I’m talking about “off the page” ways to monetize when you run a free or discount Bookbub promotion. More next week! Now, here’s the part where I start explaining new things you can use, some of which are “off the page” from the information above, and none of which I’ve related on the blog before. Be sure you have the print and audiobooks available for the e-book you promote. If I hadn’t had an audio book version of Saving Grace, I would have sold 271 less books on my Bookbub day. Make your e-book available everywhere. I get super traction on sites other than Kindle during a Bookbub. Ken Oder, author of The Closing, had just added his books to Google Play and had no sales there— ever—until his Bookbub promotion, and now he is gaining traction there every day. It raises my rankings across all sales sites and has a lasting impact. Not to mention Bookbub prefers e-books that are widely distributed, as it resonates with a larger number of readers. Funnel your readers from your promoted e-book exactly where you want them to go. Want reviews? Put a link at the end of your promoted e-book to the exact online page on which to leave a review. Make it mistake-proof and one-click easy. This will mean you have to create multiple versions of your e-book, one for each sales platform, but it’s worth it. Saving Grace has 2100 reviews on Amazon. Before its first free promo with Bookbub in June 2014, it had 200. Want engagement? Link to your website and e-mail from your engaging bio. I hear from readers who don’t like to leave sales platform reviews, but who pour their heart and soul into an e-mail or a comment on my website’s fiction page. Truly, these days Bookbub is the king-maker. But it’s not just about how many e-books readers download or buy during your promotion. It’s about how you handle these readers to convert them into lifelong fans. And it’s also about how you convert that into bonus money, which we’ll talk about, next week. Any tips on strategies that have worked for you are welcomed in the comments below. 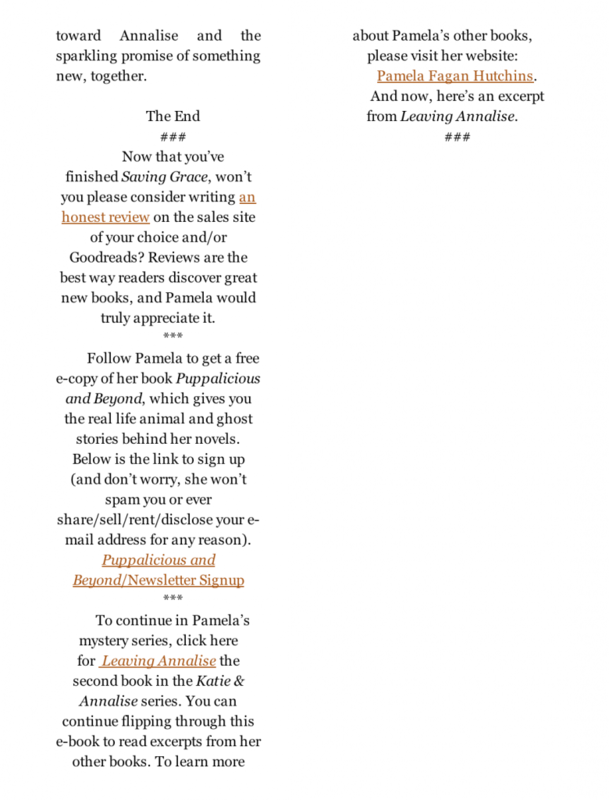 Pamela Fagan Hutchins, winner of the 2017 Silver Falchion award for Best Mystery (Fighting for Anna), writes overly long e-mails, hilarious nonfiction (What Kind of Loser Indie Publishes, and How Can I Be One, Too? ), and series mysteries, like those in her What Doesn’t Kill You world, which includes the bestselling Saving Grace and the 2015 and 2016 WINNERS of the USA Best Book Award for Cross Genre Fiction, Heaven to Betsy and Hell to Pay. You can snag her newest release, Bombshell, if you’ve already run the rest of the table. She teaches writing, publishing, and promotion at the SkipJack Publishing Online School (where you can take How to Sell a Ton of Books, FREE) and writes about it here on the SkipJack Publishing blog. Pamela resides deep in the heart of Nowheresville, Texas and in the frozen north of Snowheresville, Wyoming. 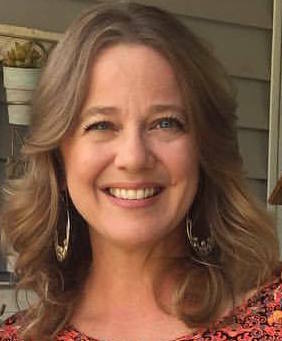 She has a passion for great writing and smart authorpreneurship as well as long hikes and trail rides with her hunky husband, giant horses, and pack of rescue dogs, donkeys, and goats. She also leaps medium-tall buildings in a single bound (if she gets a good running start). Want SJP News and Special Offers?